To light up your darkness with style, head for London Lights. It’s the kind of shop where, as well as top class products at reasonable prices, you can get plenty of free advice and no high pressure salesmanship. This is the approach strongly favoured by the shop’s genial Irish owner Jim Maguire who long ago realised the importance of making the right decision about the lights you put in your home. He adds: “Very few people can come into the shop and make an instant decision. For that reason we will allow customers to borrow a light and try it out at their home to see if it suits. Also, with his customers in mind, Jim does not put too much stock on display. “We’ve all been to lighting shops which are absolutely crammed with lights. The result is that it is too overpowering and very confusing for customers. It puts people off,” he says. As a result, London Lights, located on the Upper Richmond Road, has a simple and elegant look where the lights, many in stainless steel and glass, can be viewed from all angles in all their splendour. 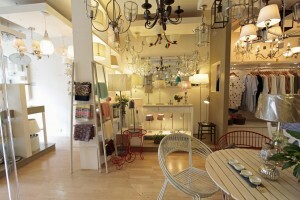 There are also many small home accessories for sale to complement the lights. But what adds a distinctive and definitely unique touch to this shop are the two racks of colourful clothes at the rear, which are the brainchild of Jim’s attractive Korean wife, Young Hee, who decided to start her own business about a year ago. Her husband is delighted with the new venture because it has attracted more customers to the shop at a time when all small independent traders were fighting hard to survive the recent recession. 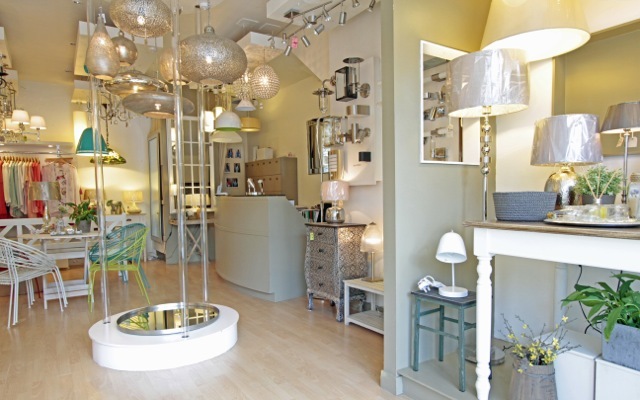 The couple opened London Lights in 2006 after first running a lighting shop in South Wimbledon for a few years. 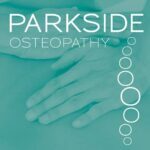 It meant that using their experience they were able to hit the ground running in East Sheen. They do that largely by backing their own taste – in both lights and clothes. “If I don’t like something, it doesn’t come into the shop. I must get a buzz from it and that’s infectious, which customers pick up on,” he says. They select their lighting stock at twice yearly trade shows in Birmingham, Frankfurt, and Paris, where, Jim says, the trick is to find quality at a reasonable price. Asked to name his favourite from his shop full of lights, he points to a series of beautifully smooth shaped hanging pendants made from silvered brass and covered in thousands of small holes which give off a lovely glow. With all her contacts in South Korea, Young Hee, who met Jim while studying in London 15 years ago, buys her clothes from her homeland. “I have friends who are designers and I know I can get good quality,” she says. She also sells stylish Japanese silk kimonos on her website ThisIsMyStyle.